Because it’s such a big investment, getting a building and pest pre-purchase inspection on your new property is an essential component of the buying process. With such large sums of money involved, you need to be sure of what you are buying. But with reports getting thicker and thicker by the day, loaded with technical jargon and insurance company mumbo jumbo, making heads or tails of the contents is becoming harder for the average purchaser. Read on as we try to break down some of the more confusing aspects of the building and pest inspection report. 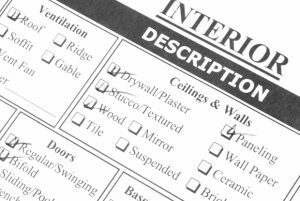 Standard building reports now have become very heavily loaded with disclaimer clauses, many of which the inspector is required to include in order to maintain their professional indemnity insurance. Any report covering such an important topic is going to be bound by some sort of disclaimer – This article itself has one – But the problem is that these particular clauses are often woven so tightly into the fabric of the report they are difficult to differentiate from the actual findings of the report itself. We have come across many buyers who have become panicked at reading a report, thinking they were buying an absolute lemon, only to find they hadn’t even made it past the general disclaimer clauses which are now the norm in all pre-purchase reports. In many cases, such disclaimers quite amusingly don’t even bear any relevance to the subject property. These clauses are designed to scare you – Let’s just admit it, in real terms it’s better for the inspector (and his insurer) if you don’t go ahead with the purchase as that reduces their potential exposure to legal issues. And if you do decide to go ahead, they are insulated from litigation by pages and pages of legal gibberish. But in the end if you want to buy a property you will need to be careful not to get too wound up with the disclaimer clause scare mongering and just focus on the findings of the report itself. In our little corner of the world, dealing with termites is an ongoing issue. They are here to stay whether we like it or not. But it is essential to keep the little critters out of your house lest you find yourself with expensive repair and treatment bills. 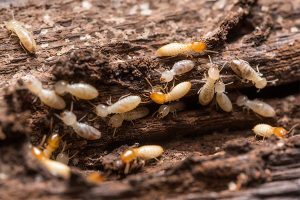 All building and pest reports will recommend that a termite management plan or “termite barrier” be installed at the property if there isn’t one already in place. This does not automatically mean the property has termites, so relax. The inspector is required to recommend this, regardless of whether or not they find live termites on the property. Likewise, it is common for building inspection reports to regard a property as being at “high risk” of termite attack. While this sounds scary, there is usually no need to panic – Due to the increasingly litigious nature of our society, these reports tend to err on the side of caution and in some cases, over the top alarmism. Unless the inspector has detected live termite activity or evidence of previous termite damage, then all that should be required is common sense and precaution. You may want to arrange for a termite barrier to be installed for your peace of mind, but as of 2018 this is not a legal requirement to buy or sell a property. If your inspector finds evidence of termite activity or damage, then once again don’t panic – But further investigations would be recommended to determine the extent of the problem . In many cases, the issue can be dealt with through chemical treatment and some basic repairs. As the buyer, you would want to consider your position here – You would normally expect the seller to bear the costs of such repairs and treatments but in certain cases, the buyer may be willing to proceed with the purchase and accept responsibility for it. This will differ from case to case, and there are no hard-and-fast rules as to how this needs to be worked out. In extreme cases where the activity (and damage) is extensive and the costs to fix exorbitant, you may want to just cut your losses and terminate the contract. 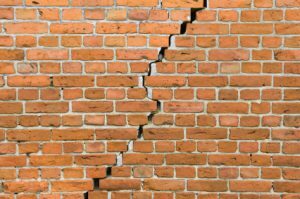 Cosmetic issues in a property are generally issues that are regarded as being ‘appearance’ defects of a non-serious nature. Every property will have these, some more than others but normally they are nothing more than maintenance items and issues that do not affect the structural integrity of the property. There’s an old saying that goes, “don’t sweat the small stuff” and this is the small stuff. Normally with a bit of basic maintenance these items can be rectified with a minimum of fuss so don’t get too wound up about them, regardless of how the inspection report might make them seem like a big deal. Aside from termite problems, this is the other “big ticket” item in a building report – Structural movement or “subsidence”. This is where the foundations of the property have moved, which often leads to cracking and damage to the dwelling. Depending on the extent of the movement, the damage can be horrifying – And the costs involved can easily run into the tens of thousands. And that’s before the cosmetic repairs which will also be necessary to repair the cracked surfaces and fixtures. Much like discovering termite activity, the important thing here is to get an idea of what the issue is going to cost to rectify. Building inspectors will normally recommend a structural engineer’s report, but often this will only uncover the technical aspects behind the issue without revealing what everyone really wants to know – What’s it going to cost to fix. It might be prudent to engage a foundation rectification specialist or “under-pinner” to get a quote on the actual cost involved. Once again, as the buyer, you may want to renegotiate the purchase price as compensation for the problem or request for the seller to have such works completed at their cost. If the issue is extensive or if you simply don’t have the stomach for such an exercise, you may want to terminate the contract altogether and leave the problem for a buyer with more experience or means to deal with such things. Some reports will flag moisture as a major defect – The reasoning behind this is that excessive moisture in a home can sometimes lead to more significant problems – Moisture attracts termites and can influence ground conditions which can lead to structural problems. Once again, this doesn’t mean the house is going to collapse overnight so relax – But if there are leaks and moisture issues they should obviously be dealt with. Whether you are willing to deal with these issues yourself or if you want the vendor to fix them before you take over is up to you and them to work out. AM I ENTITLED TO GET A PRICE REDUCTION IF THERE ARE DEFECTS WITH THE HOUSE? The short answer is no, you are not. You can ask, but the seller is not obligated to provide you with any reduction in the purchase price as a result of the findings of a building and pest inspection. The flipside to the coin is that you are not obligated to proceed with the contract if you are not happy, so sometimes a middle ground needs to be reached and this normally happens either by having the seller attend to items of concern prior to settlement, or alternatively by way of price compensation. It is common though for property sellers to refuse price reduction demands unless there are serious or major defects present, and buyers who like to push for big price drops without there being any real substance to such a request will likely just get the seller (and the agent) off-side. 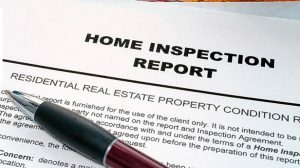 As a buyer, this could hurt your future negotiating leverage so be cautious – The building inspection is not simply a license for you to get more money off so consider carefully what you are asking for and make sure any requests are substantiated by written quotes. I LOVE THE HOUSE BUT I’M NOT HAPPY WITH THE REPORT – WHAT SHOULD I DO? Buying a home is usually an emotional purchase so it can be heart-breaking to find that the property you have fallen in love with is not up to standard. If the issues are only minor or cosmetic, then it’s probably no big deal and not worth losing the home you love over. If there are extensive cosmetic issues, then maybe request the seller have some of these defects repaired. If there are serious issues, then try and find a work-around. Rather than simply pulling the pin, get some quotes, and see if the seller is willing to negotiate. Most problems can be fixed – Beyond this it simply becomes a matter of cost. If the issue is too big or the cost too great, you may need to bite the bullet and terminate. This might be heart breaking but if you think you feel bad, imagine how the seller feels! In any case, unless you are building a brand new home then you simply cannot expect a property to be free from defects. No home is perfect, and all require maintenance & upkeep. If your expectations are realistic then in most cases you will find the home of your dreams will be in perfectly acceptable condition. If it’s not, then stay clam and talk to the agent and the vendor about finding a resolution – Most of the time there will be a solution everyone is happy with. NB: This article provides information of a general nature only, and is not intended to be taken as a substitute for professional advice from a registered builder, licensed pest inspector and/or structural engineer. All prospective buyers are encouraged to make their own enquiries and investigations into any building or pest related issue with a licensed trade professional.